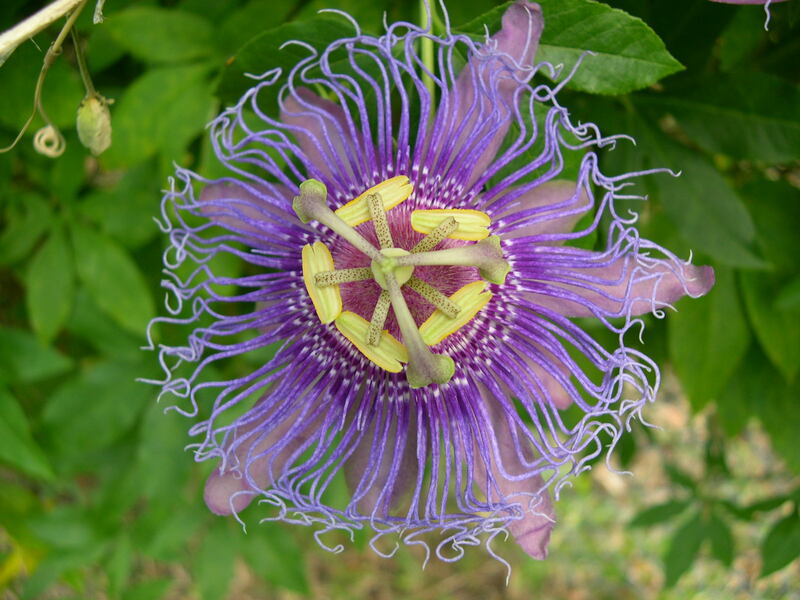 flower--the fringy structures are collectively called a corona ("crown"). The stigmas and stamens are above the corona. flower in side view--bizarre, huh? 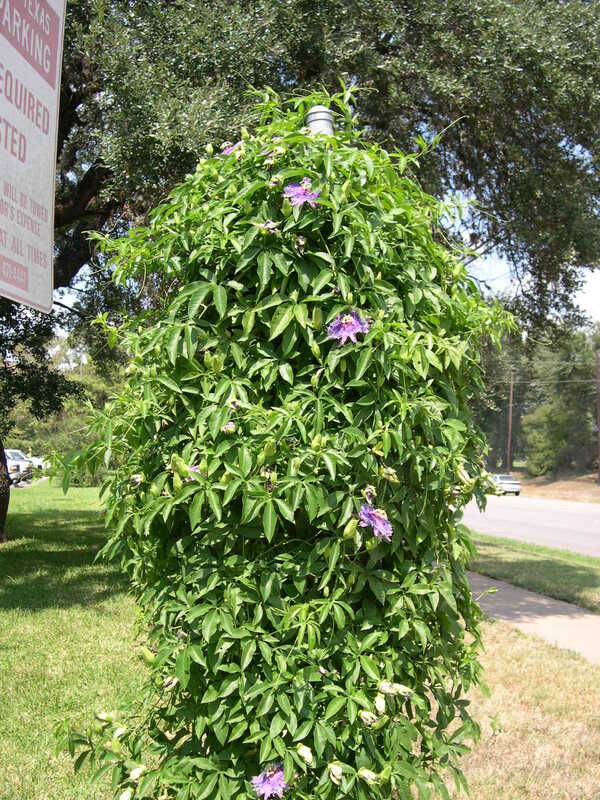 Passiflora habit - there is a fence under this passionflower vine! 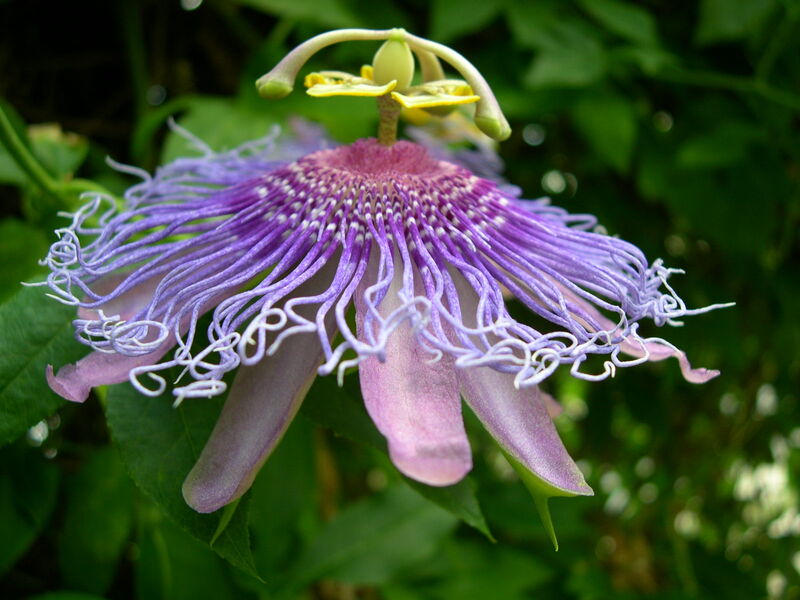 Passiflora species have tendrils that allow them to crawl all over everything. 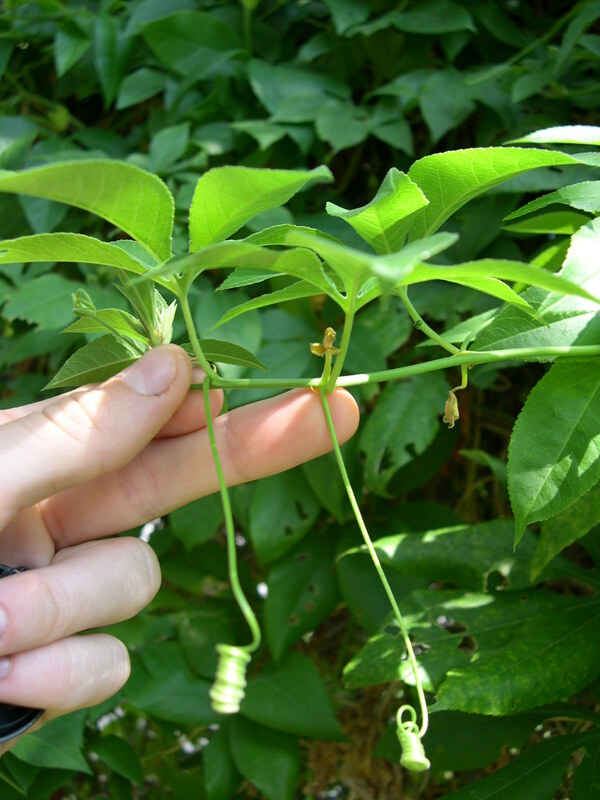 The tendrils arise from the petiole bases (in the axils), unlike Vitaceae family members, whose tendrils arise from opposite the stem of the leaf attachment point or Cucurbitaceae whose tendrils arise lateral to the leaf. 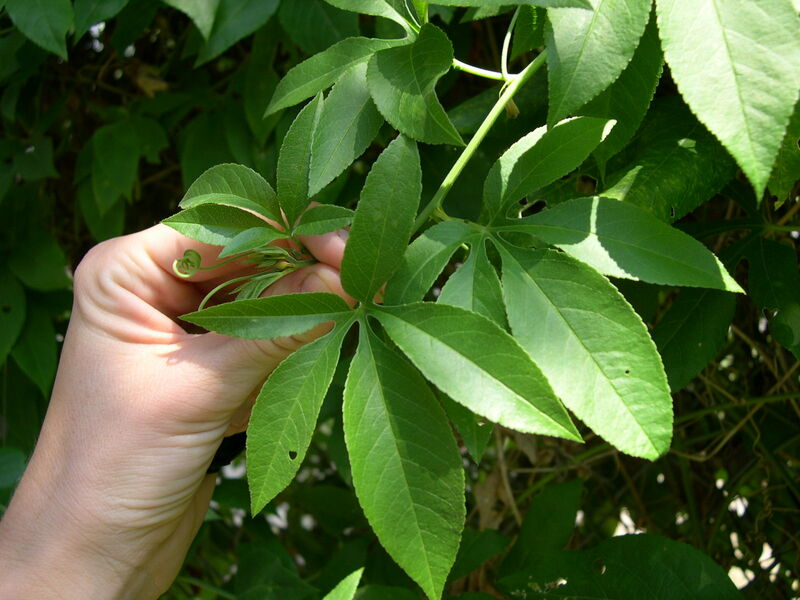 lobes are finely toothed individual leaf, showing the deeply lobed leaves. 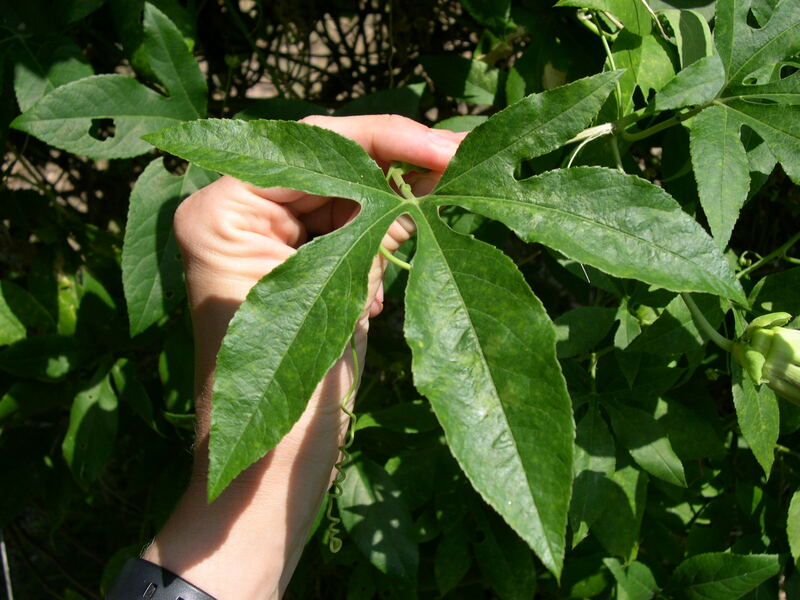 Most Passiflora incarnata have either 3 or 5 leaf lobes.